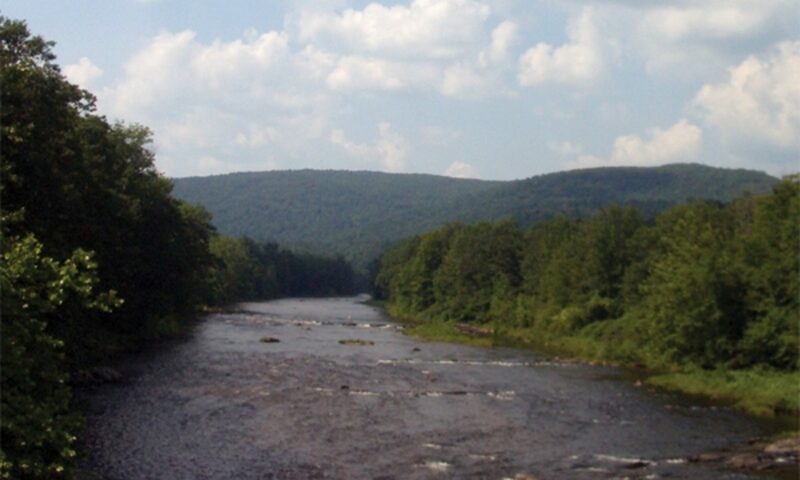 The Saxtons River Watershed Collaborative and the Windham County Natural Resources Conservation District (WCNRCD) is offering a workshop for educators on Thursday, March 14 from 3:45 to 6:30pm at the Bellows Falls Middle School to learn about rivers through the use of a stream table. This interactive tool is a perfect way to engage students and the public in river science, engineering, and the geosciences. The Stream Table simulates river processes with remarkable accuracy. It demonstrates basic principles of river behavior, subtle channel morphology, and sediment transport processes. 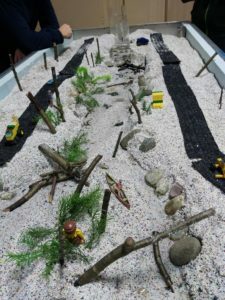 At the workshop, educators will engage with a Vermont State Watershed Coordinator on river dynamics, learn how to operate the stream table, and come away with ideas on how to integrate it into the classroom. A middle-school based curriculum packet of lessons will be given to each participant. The stream table is an effective educational tool for all ages. After this training, the WCNRCD offers its stream table for use through a rental program to schools and educational groups. This workshop is free to participants. Pre-registration is required. Spaces are limited, so sign up early. To register, please contact the WCNRCD at windhamcountynrcd@gmail.com or #802-689-3024. This workshop is funded in part through a Vermont Watershed Grant and a Grassroots GROW Grant. Typically we are in the office Tuesday, Wednesday & Thursdays from 9am – 2pm. However, due to activities outside the office, we are not always in. Please call or email to schedule an appointment or to confirm we are in. The Windham County NRCD is located in the USDA Service Center office in Brattleboro, which houses several agencies that work with agricultural and rural communities. We frequently collaborate with these agencies, as well as a host of other agricultural and conservation focused organizations throughout Vermont.